When you're coordinating multiple projects with a variety of team members, simply keeping track of your tasks can be tricky. SharePoint Online and Microsoft Project Online offer featuresR12;including task lists and project sitesR12;that can help you set up, track, and manage your projects efficiently from any location. In this course, learn how to manage teams and streamline enterprise collaboration in the cloud using key features in SharePoint Online and Microsoft Project Online. 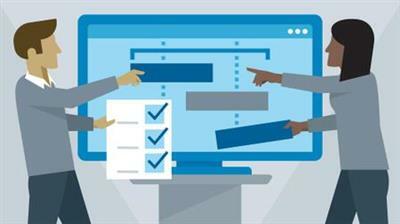 Instructor Shari L. Oswald steps through how to create and manage SharePoint task lists, integrate tasks with Outlook, and convert lists to projects. Plus, she explains how to manage projects in the Project Center, create and deploy enterprise projects, and monitor your projects with reports.